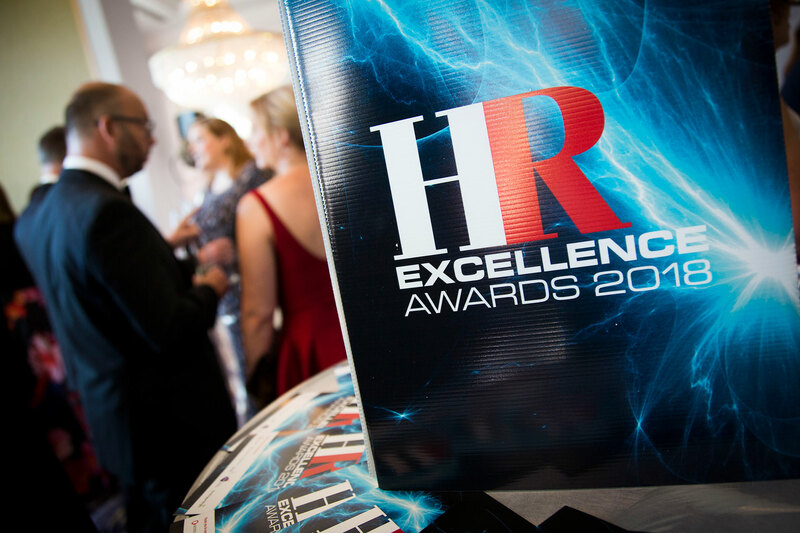 HR magazine is delighted to announce that the HR Excellence Awards are now open for entry! We can’t wait to celebrate the gold standard of HR strategies and initiatives. The HR Excellence Awards are the most sought after, the most prestigious and the longest running awards in the field of HR. They recognise the organisations and individuals pushing the boundaries of people strategy. Entering is simple. All you need to do is write a 2,000-word document outlining your entry according to the category criteria, and submit via the website. A full category breakdown and advice on entering the awards are available to help you. This year we are delighted to add a new category for 2019: People-focused workplace design award. Torus is a housing and regeneration group based in the North West of England, owning and managing 22,000 homes and housing 45,000 customers, and is one of the largest developers of social housing in the region. While an ambitious and innovative OD had been established ahead of Torus being formed, threats facing the business meant that the team had to rebalance the group’s financial position, as well as protecting the business, customers, and staff. It was Torus’s astounding 16 strong OD team who pioneered the change process. Fast-forward to the present, where the OD team have overseen a restructure and change programme affecting 850 staff, contributed to an overall cost reduction £17 million over 4 years, fostered a Unique “we are one” culture, and achieved IIP Gold Recognition. It may have been tough, but Torus undoubtedly turned the dial on the organisation and by turn, showed us exactly what an exemplary HR team looks like. Working Roots is a unique full-time one-year youth training programme that targets 16- to 18-year-old NEETs (not in employment, education or training) in North Tyneside who are at risk of social exclusion. It’s run by a public, private and third sector partnership between Kier, North Tyneside Council and Justice Prince CIC. The young people chosen for the scheme have a diverse range of physical, mental, emotional and educational needs. Trainees are paid a weekly bursary of £50, a lunch bursary, and transport to and from work. This is all covered by Kier North Tyneside. It’s estimated the scheme generates approximately £500,000 in social value through reducing unemployment and crime, and improving the community. As such Kier is looking to roll it out nationally. Our judges praised the scheme’s results, describing it as a holistic cross-sector effort to reach a difficult target group. They said it had a clear social impact and are excited to see it scaled up. When MTR won the bid for the new Elizabeth line, there was a need to create a brand new business from scratch to run the service. For HR of the new MTR Crossrail, this meant it had just nine months to recruit an entirely new workforce to get the railway up and running on time – no easy task. But the task’s urgency didn’t deter from the opportunity to recruit a diverse workforce and move away from the traditional talent pool associated with the industry. There’s been a drive to attract more female train drivers. A commitment to reach more young people in school or unemployed. Further, there’s been commitments to improve BAME recruitment and retention, recruit refugees into sustainable employment, support homeless people into roles, and recruit ex-offenders. Our judges were impressed with their decision “not to fill the seats with the traditional bums”. Something they agreed other companies will and should be inspired to follow in the footsteps of. It takes a brave organisation to hold its hands up when things go wrong and turn this into an opportunity for change. But that’s exactly what Mitchells and Butlers have done. Rather than waiting for the negative press to simply pass after an incident at one of its restaurants, the organisation made a commitment to improve the quality of learning and development, ensure training was consistent across sites and that it was delivered correctly. This involved the development of an innovative digital learning platform called MABLE. With MABLE, senior leaders can monitor progress and identify skills gaps among employees, learning is ‘bite-sized’, and gamification has been aligned to learning principles. Engaging employees with the technology has been paramount to its success, and so MABLE was given a persona which speaks to employees: a ‘sassy, older personal trainer’. The most important issue - of customer safety - has improved, with allergen-related incidents down 12% on trend predictions. It’s a turnaround story the judges were greatly impressed with. The number of conveyancers in the UK remains relatively small. So My Home Move’s ambitious growth plans called for a widening of the talent pool from which it recruited. The solution arrived at was for My Home Move to ‘grow its own’ talent. The strategy the HR team set out on 18 months ago covered three broad areas: recruitment, L&D and ‘B My Home Move’ - a collection of rewards, recognition and benefits designed to better retain employees. On the trainee recruitment side, My Home Move now works in partnership with universities to recruit law graduates into a six-week trainee programme, provided through its in-house Learning and Development Academy. The business also needed to widen the talent pool of experienced conveyancers it could recruit; so it created the NNC programme, offering home-based working to experienced conveyancers across the UK. My Home Move has grown its conveyancing teams by 23% in the last two years, and has increased its direct recruitment of conveyancing talent by 205%. Our judges Others were impressed with this as an initiative that identified a “clear business need” and met it with great success. The University of Sheffield understand that diversity in all its forms not only delivers greater impact in their research and teaching, but enhances the experience off all staff and students. In was in this spirit, that the university launched their LGBT+ allies programme in 2016. Sheffield launched a three-phased internal communications approach, with their mission statement Creating an LGBT+ inclusive university is everybody’s responsibility. The visual vibrancy and choice of striking marketing platforms captured the attention of key audiences, inspiring a wider engagement with staff, students and external stakeholders, which created a genuine buzz and talking point both on campus and social media. The results have been astonishing. Ally numbers increased from 80 at the launch to 1,300 by December 2017. The judges were blown away by Sheffield’s disruptive imaginative use of internal communications, and recognised that the university are doing something completely new for a cause that should be at the top of every organisation’s agenda. Arconic recognised the serious risk shift working poses to both physical and mental health. In 2016 HR worked together with health and safety and the wellness team to identify the health and wellbeing status of the workforce and put together a strategy for the next two years. Employees were screened for 15 different health markers using the most up-to-date techniques. The data from the health check roadshow demonstrated that Arconic needed to focus its attention particularly on body fact percentage, hydration and cholesterol. Since the strategy was set out employees have collectively lost 138kg, 30% of people identified with ‘critical hypertension stage two’ blood pressure have been reduced to a less critical rating, sickness absence has dropped to the lowest levels since 2014, and employee engagement is up 5%. The judges thought this was a well-targeted, strategic and comprehensive strategy and particularly impressive considering the context the business operates in. Rather than assuming to know what every employee needs and wants, as can sometimes be the case with benefits strategies, LinkedIn set out to empower its employees to choose perks that fit in with the different stages of their individual lives. Perk Up is an annual perks allowance that each employee can spend on goods or services that matter personally to them, covering categories of wellness, child and elder care, pet care, house cleaning, and financial planning. Our judges were blown away by this multi-generational approach, especially noting that it’s rare for packages to offer elder or pet care. This can actually “make a difference to people’s lives”, they said. The take-up of the scheme speaks volumes for its success, with a staggering 98% of LinkedIn’s UK employees using Perk Up. And as you’d expect, this is also translating into solid employee engagement scores. With a mission to empower the world’s professionals, LinkedIn is leading by example, proving that empowerment first begins at home. At Microgaming, the CSR strategy keeps things close to home. PlayItForward serves as an outlet for social good on the Isle of Man and beyond, touching areas including health, charity, education and sport. One notable part of the strategy is the Microgaming Ambassadors Programme, which provides financial support to individuals of outstanding ability, knowledge or repute. Another is the Microgaming Education Bursary which helps local students whose financial circumstances might otherwise prevent them from attending or continuing at university. But perhaps one of the most commendable aspects of PlayItForward is that, in building a strategy that does good in the local community, it has engaged all employees and involved them in something where they can see the results first-hand. So, while the HR team has been busy championing members of the local community, it’s now their turn to be championed by the HR community. Bringing two companies together is never easy. But with a highly centralised model in the legacy Iglo Group business, and totally decentralised one in Findus, the challenge was particularly great at Nomad Foods. The aim was to create one company with one shared vision. This wouldn’t be easy, given the scale of 3,800 Nomad Foods employees working in 13 countries, 15 offices and nine factory locations. 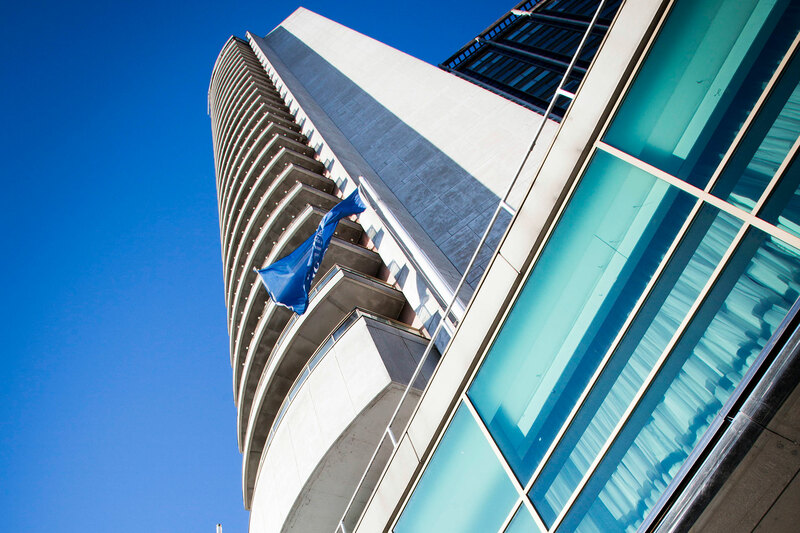 Key activity included widespread restructuring and reorganising, monthly newsletters and quarterly CEO webcasts, a culture survey, the launch of a new appraisal process, a new talent management framework, and the launch of the Nomad Foods People Awards. The return on investment on the transformation programme has been beyond doubt for the business. Our judges praised the sheer extent of the activity going on, commenting that it’s no mean feat to achieve such impressive change over different countries and with such breadth. Three years back, employees had lost engagement with Kerry Foods. And so the Trailblazers initiative was launched, challenging employees to define the future of food and be part of creating new snacks, drinks and foods. In total, 860 ideas were put forward, accounting for around one in every six employees; testament to a workforce engaged with the initiative. Ideas were shortlisted and after numerous stages including a four-week bootcamp, pitch videos, and on-site support to develop their ideas, this culminated in a Dragon’s Den style event broadcast to the rest of the business. It was an engagement strategy that touched everyone. While Kerry Foods came away from the initiative with two new products to take to market, more importantly, it came out with a reengaged workforce. The judges praised the idea of engagement as a means of bringing innovation out of the workforce, with one judge simply adding “This is how you do engagement”. A worthy winner indeed. BME under-representation in policing is an historic issue. Surrey Police was no exception; the situation reflected the national picture, with BME representation of approximately 4% among police officers. The solution at Surrey has been a raft of activity, led by Surrey Police’s BME staff association, SPACE (Surrey Police Association for Culture and Ethnicity), to target the entire employee life-cycle. SPACE attended approximately 50 targeted community events including schools, colleges and universities and faith festivals; conducted a recruitment process review to highlight barriers including unconscious bias; implemented a BME mentoring scheme for potential new recruits; held a conference for 100-plus BME officers and staff; and reviewed all BME leavers and exit interviews to identify trends. The results speak for themselves. From January 2017-Dec 2017 Surrey Police saw an average 8.4% BME application rate, compared to zero applicants between April and December 2015. In total 23 BME officers have joined Surrey Police via the SPACE Mentoring scheme in 2017. Every successful organisation has at least one person in its central team whose enthusiasm and commitment makes a real, significant difference. For United Learning, that’s Lucy Woodward. Woodward joined United Learning in July 2010 as HR administrator at Salford Academy. Her aptitude and drive prompted a promotion to a HR Officer role within two years. The wellbeing programme, improved rewards and benefits, and a clear recruitment strategy have supported a reduction in turnover rates and improved absence levels, producing a more consistent and high-quality workforce to educate pupils. There is no doubt that Lucy makes a huge difference in the lives of the thousands of pupils in our schools. For both the schools and out judges, Woodward strategic thinking, and ability to be “an absolute all rounder” make her a clear rising star in the world of HR. We can’t wait to see what her career will bring next. From day one, Roy Williams set out that an organisation can only be as good as the people it employs. Implementing people management policies and practices have been Williams’ focus from the outset and continues to be a key focus as The Sovini Group grows. The Sovini Group’s journey began in 2006, following the stock transfer from Sefton Council. One Vision Housing (OVH) the founding member of The Sovini Group- led by CEO Roy Williams, were committed to be the best at everything they undertook from the start. Since becoming the first company to achieve first place in The Sunday Times List of Top 100 Companies for two consecutive years in 2013 and 2014, the organisation has consistently ranked among the top organisations to work for. Led by Williams, The Sovini Group continues to go from strength to strength. As he regularly tells staff, none of these achievements would have been possible without the people behind it. A lot has changed in the two years since Rose took the helm of HR at Kerry Foods. But as with all transformation success stories, it hasn’t been plain sailing. Far from it – with some tough decisions needing to be made. An example of one of these is Kerry’s new business ways of working, which Rose has played a key leadership role in. Other activity has included bringing recruitment in-house, launching a new employer brand, a Trailblazer engagement initiative, and a new ‘Talent Deal,’ with wellbeing and flexible working next on the agenda. Rose has also, reports Everett, been instrumental in the development of the leadership team, challenging and “encouraging us all to be courageous and creative in our thinking.” Which was strongly evidenced in the number of senior leaders at Kerry Foods voting for Rose to win HRD of the Year, and by their highly complimentary comments. Anyone visiting Kerry Foods three years ago would have been forgiven for thinking it a little lackluster. This was an organisation that prided itself on its agility, open-mindedness and entrepreneurial spirit but more recently had lost its bite. Fast forward to today and things couldn’t be more different. The organisation’s overall employee experience index has reached 77%, 10% above the UK country norm and it has a new purpose, vision and values that capture its ‘pioneering spirit’. One step to achieving this has been an employee engagement initiative, which gave the entire workforce the opportunity to take part in the creation of new snacks. Another has been the pivotal role HRD Emma Rose has had in spearheading change, including bringing recruitment in-house and launching a new employer brand. It then seems only fitting that Kerry Foods not only be honoured with the Outstanding employee engagement strategy and HR director of the year awards, but also receive the prestigious Gold award. Congratulations to our HR director of the year Emma Rose, HR director at Kerry Foods! Latest financial figures/business performance indicators: £1.7bn revenue, £48.7m operating profit (18% increase on 2016), £3.9bn forward order book, 90% repeat business, 10.3% staff attrition. Ranked for the first time in 2018 Times Top 50 Employers for Women. Over the past four years, I, along with a great team, have delivered tangible results that have contributed to the success of Costain. I’m passionate about EDI in the workplace and so I’ve championed our senior leaders and team to make this a priority. Last year we launched our EDI strategy with clear targets for us all. 12 months in and we’ve already seen progress. We’ve increased the number of senior female leaders from 10% to 18% of our population, launched networks for Gender, LGBT+ and Parents and Carers, launched our first Women in Leadership programme and marched at London Pride. Costain has also ranked in the Times Top 50 Employer for Women 2018. Generating £6m savings on recruitment costs by implementing an in-house recruitment team and technology platforms. We’ve made over 2500 hires in the past three years and increased our capability of consultancy, advisory and technology leaders to 1300, over 30% of our headcount. Recognising the fundamental importance of structured succession planning at every level of the organisation, we’ve designed and launched a number of strategic development programmes, all designed to increase our breadth and depth of succession for the future. We now have over 250 graduates from 17 different disciplines, 120 apprentices and we’re sponsoring 21 PHD students who are researching fields such as automation and robotics, connected autonomous vehicles and data driven decisions. I’m proud to have built and led Costain’s people agenda over the past four years and can’t wait to see the success stories continue. There is certainly plenty of opportunity. I believe Alison is a worthy winner of the HR Director of the Year category for a number of significant reasons. She has provided amazing support to me personally through a number of activities we needed to undertake in order to build a new business (MTR Crossrail) from scratch in 2014. She has been integral in recruiting key personnel into the business, implementing policies and procedures and managing a TUPE transfer in a short 11 month window. Thanks to Alison, MTR Crossrail have strong union relationships which are recognised across the industry as leading the way, creating a culture of transparency through her manner of working. These strong relationships have helped MTR Crossrail become the first train operator in the country to sign to ASLEF’s Charter for Apprentices, which demonstrates a strong commitment to futureproof training and development. Alison’s recruitment team pushed for more diversity in the railway, trebling the number of female drivers since start of concession, which is one of the highest rates in the UK and more than double the industry average. Finally, Alison always looks to be innovative and break the industry mould in how her team approaches and implements various initiatives. Whether it be recruitment, training or management, she is always providing ideas that can really provide a point of difference and further engage the workforce she cares so passionately about. The FA is a national institution and as such notoriously difficult to change, an environment where your every move is subject to the highest levels of national scrutiny. When Rachel started in 2016 she was part of a new leadership team hired by the then new CEO Martin Glenn with a mission 'to rebuild The FA as a world class organisation'. What she discovered was quite different, an organisation wounded by a large scale restructure, a culture where people had lost faith in the leadership, at the elite end of the game an organisation that was disconnected from the core with little people input and a nearly non-existent HR function. Rachel quickly discovered that what The FA did have as a major asset was a loyal workforce, many of whom passionately believe in the good work of The FA and are enormously proud to work there. Building on that platform she and her small team set about establishing a long term cultural change programme, built on solid values aimed at unlocking the underlying passion and energy but directing it into more progressive behaviour and better execution. Believing that leaders create the environment for people to do their best work meant further changes in leadership, deeper into the organisation. It meant taking back control of structures and headcount and putting in business wide processes to ensure never again in this generation will The FA allow itself to grow beyond its means and force wide scale restructuring. Today a first class HR team supports every aspect of The FAs work from the grass roots to elite. She believes in real business partnering where she and all of her team are prepared to not only advise and influence but personally use their skills and courage to make things happen and show that change is possible. Demonstrating that HR is a powerful enabler to improving performance is probably best showcased with the now strong partnership with the Technical Division, home to the 24 national teams. In 2016 the Technical Division had outsourced most of the real performance enhancing work to external partners. Rachel asked Dan Ashworth the Technical Director to give her 6 months to establish her team and then to give her a chance to show what HR could do. Now the HR team run all recruitment and assessment processes for the whole elite set up including all the national coaches, there is full time business partner function and they are the first port of call for people advice on the most difficult and high profile of situations. Having the skill and personality to be part of the core team in an elite set up is professionally challenging but also highly rewarding. Being prepared to step up comes with consequences and when Dan Ashworth asked for her help in resolving a grievance a player had made against a national coach, Rachel agreed to help. Players have historically been outside of the HR remit, there was no precedent or policy in place that applied at the time so it was truly uncharted territory. Much happened, the media took hold of the story and the FA Chairman, CEO and Technical Director were called to a DCMS select committee 18 months later to give evidence. Rachel was asked to attend by her CEO, a responsibility that is rarely given to a HR Director and was recognition of the role she could play in articulating The FAs best efforts but also in humanising what was a complex and highly charged situation. From this Rachel then went on to work with UK Sport to put in place grievance and whistleblowing procedures for players and training for national coaches to ensure that The FA and other sports have channels where players can speak up in the future and there are professional processes in place to ensure that what is now common and good practice in corporate environments can apply in a sporting context. Two and a half years on The FA has engagement survey scores that it can be proud of. There are more senior women in leadership positions than ever before, a gender pay gap that isn't embarrassing for a male dominated sport and much still to do and look forward to. Rachel and her team are in the final stages of signing off a 3 year inclusion plan with The FA Board that if successful will really move the dial and will be the first organisation in football to commit to such a plan and publish targets. The FA is both a huge organisation and a national institution. It is a non for profit organisation which raises money (£330m in this financial year) and spends it all back into a widely diverse set of activities which seek to both govern and grow the game of football in England. The FA runs 24 National Teams (men’s, women’s and disability), two major facilities – Wembley Stadium and The National Football Centre at St George’s Park, 25,000 coaching courses for community volunteers and professionals. We are also responsible for all the core governance aspects of football from Player Discipline, Safeguarding to Anti-Doping and, in terms of promoting the game, we oversee 23,000 Grass Roots Clubs and millions of players, referees and volunteer workers. To raise money and run the organisation we have a big commercial team and support services like IT, Finance and HR. We employ 900 people directly and 100’s more indirectly during International Tournaments. Firstly, by way of background, The FA is a private company co-owned by the Professional and Amateur Clubs reporting to a Board of Directors and a Council comprising of 120 representatives and shareholders. Getting things done at The FA requires stakeholder management and is certainly not a command and control environment. I recruited Rachel in late 2015 to help me achieve my goal of modernising the organisation so that it would better serve the game. I joined earlier that year and soon recognised that it was both a huge task not made easier by the fact that as a not for profit organisation many people want to work for The FA because they have good intentions but can confuse this with being effective. Add to this a long standing conservatism in football resulting in a resistance to learn from other sports or wider society there wasn’t a readiness for change. Rachel has been instrumental in driving procedures and more importantly values to affect change. She demonstrates classically strong leadership behaviours (articulating a vision and strategy) reinforced by excellent management skills – rolling her sleeves up to tackle deep rooted problems. She believes profoundly that people make strategy happen and also that it’s the behaviours of the Leadership team which will result in changes further down the organisation. Rachel, in this regard, is a great role model and people at The FA have begun to adopt modern HR practices not due to brochures or PowerPoint presentations but through the power of her personal advocacy of bringing those policies to life thought constant dialogue and persuasion. Great changes have been achieved, ranging from a total clean-up of employment contracts to work with the international teams to recruit more thoroughly and transparently (moving away from the football norms of recruiting ‘who you know’). We have built external confidence in our diversity and inclusion philosophy and have a much more diverse organisation today. Cultural scores have improved dramatically and the grass roots game is thriving with a record number of women and youth teams being formed. England has won two World Cups at U17 and U20 age groups – an unpreceded achievement globally and our Men’s Senior Team has embedded cultural programmes as part of their toolkit. From top to bottom attitudes of people in The FA have improve dramatically and good results are being seen. Rachel has helped to genuinely transform The FA effectiveness. She has been able to translate the HR agenda into language both The Board and our elite team comprehend and value. Given the public scrutiny The FA is inevitably under by being such a huge sport, Rachel has also had to endure media scrutiny in a way most HR Executives never will. She remains calm under this pressure and is never tempted to make short term compromises to make an external PR story easy to tell. Over my 37 years in business I have worked with some excellent HR colleagues but Rachel is the best of whom I have had the privilege of working with. I have known Rachel Brace for two years since I joined The FA as Director of Women’s Football. She has been exceptional every step of the way. In my first few months she provided me with guidance and steered me sensitively through some new and at times choppy waters. In a crisis Rachel remains calm, balanced and objective but never loses her empathy or compassion – a rare combination. She is part of a senior team engaged in the modernisation of a very traditional organisation with a deeply embedded culture. Rachel is leading that culture change and is slowly coaching people to a new way of thinking and behaving. It has required considerable courage and determination to tackle these issues but it has also needed great patience and exceptional interpersonal skills. Rachel is without comparison in the way she tackles difficult issues while retaining her sense of humour and perspective. As a colleague she is engaging, supportive and reliable, an outstanding professional and someone I feel privileged to work alongside. I am fortunate to be in a position of managing 280 people in my department, the Technical Division of The FA that has a wide range of personalities and issues that raise themselves from players, to England Managers, to coaches, to doctors to administration staff. My previous experience of HR was a world away from what I get now from Rachel and her team. I very much felt that previously it was a department to “stop” you doing things and to find problems, with Rachel I feel the total opposite. She and her team support, give honest advice and mentoring as well as some brilliant ways at looking at recruitment and retention of staff that have taken us to a different level. England teams had a brilliant 2017 on the pitch due to the staff we have here and Rachel and her team should take a huge amount of credit for revolutionising the way we attract, retain and develop talented staff. I cannot stress how highly I value her and her team. Latest financial figures/business performance indicators:Annual turnover of circa £400 million, educate over 40,000 pupils across 60 schools. Mandy and her team are creating a progressive approach to people management in the schools sector at a time of national crisis in teacher recruitment and retention. She has made a major impact at United Learning, contributing to the group doubling in size in recent years as well as improving its performance and thus the life chances for young people in the schools. Her achievements include employee engagement levels at the group which have increased year on year and are significantly higher than sector averages. She has created a pioneering well-being programme that is changing the culture and delivering absence reductions and better work/life balance. Absence rates have consistently declined and are at a 4 year low. She has also developed a high quality approach to the development of leaders at all levels and a clear talent development framework from middle leader to those operating at a system wide level. The People team are always consistently highly rated by school leaders for their support and as a result won the CIPD HR Team of the Year 2016. Reporting to the CEO and advising the Board, Mandy’s role also covers Marketing, Communications and Business Continuity planning enabling her to make a broader business contribution to the group and schools. Mandy contributes to the wider external HR profession through blogs, articles, mentoring, coaching and through official Board roles at other organisations including as a NED for another Schools Trust. She actively supports other school HR leaders and has just finished writing her book ‘Become a Talent Architect; How to Make Your School a Great Place to Work’ which will be published later this year. She is a passionate advocate for gender diversity and flexible working. She has assisted the Board to become more diverse and is leading a strategy to introduce flexible working for teachers. Mandy is a term time only worker herself. “Mandy is a visionary and inspiring leader who is constantly challenging our thinking and ways of working at United Learning. We are a team of over 30 HR and Marketing professionals and she works tirelessly at ensuring we are seen as an outstanding team by the schools and central office teams we are providing a service to. She brings us together regularly and empowers us to stretch our thinking, look externally at other outstanding HR teams, and be on top of our game and our continuous professional development whilst looking after each other and being the best we can be. At an executive level, I observe the way in which she operates in that arena; she is business savvy, sharp and challenging when she needs to be; all of which only enhances the reputation of our HR team. She is fantastic at keeping us up to date with what is going on across the group, sharing our confidence when she can, asking for her views and ensuring she takes those views and thoughts to the executive table. She has a great relationship with our Board Chair, she is definitely a critical friend and a confidant and he regularly comes to talk to us about his vision for the group and the part we can play in achieving success. We are all very proud of her professional reputation. Our Head teachers across the group greatly respect her – she makes an effort to travel to all of our schools and meet not only the senior leadership teams, but teaching and support staff, union reps and pupils. She will talk to them about the things she cares passionately about – teacher recruitment and retention, engagement and well-being. She comes back from school visits armed and energised with new ideas to improve our service delivery. Mandy is brilliant but not perfect! Over the five years I have worked with her as her Deputy we have had many differences of opinion, mainly about her pace and relentless quest for us to be outstanding. We disagree, she listens, goes away, reflects and we then come together and go forward as one voice. To me that makes a great leader, in that she is willing to take on board feedback and sometimes criticism and come back to re-negotiate. She never bears a grudge, is resilient and apologises if she thinks she was wrong. Over the years our relationship has got stronger and stronger. I am constantly astounded how much Mandy packs into her professional and personal life; she balances a full time executive role, does voluntary work with other bodies, is an avid reader of leadership publications and books (and actively encourages us to do the same), goes to the gym, looks after her gorgeous 6 year son and has finished writing her first book! Exhausting and totally inspiring. ‘United Learning runs schools across the country. The majority of our schools are academies which serve a high number of disadvantaged children. We take on schools which have failed in the past and look to turn them around. It’s a great job – focused on making a difference for children every day. But it only works because of the inspiring adults who make up our staff. If any business is a people business, then education is. No-one forgets their best teachers – those that have inspired us most when we were children stay with us for life. It’s doubly true in tough schools – where teachers sometimes need twice the energy and three times the determination to make sure that children get the great education they deserve (whether they think they want it or not!). So getting and keeping great people and keeping them motivated, refreshed and excited to give of their best is at the very heart of our success as an organisation. We’ll never be better as an organisation than the leaders, teachers and staff who make a difference in our schools. And that’s why our HR and People team is critical. Everyone who is involved in recruiting, training and developing staff, who makes sure that the dull routines of good management are done properly or who otherwise supports colleagues is a critical enabler of the progress of United Learning. Mandy built and leads a strong People team. She knows that the basics are done consistently well and that the team is adding value through the business and she gives space to effective staff to lead and deliver. With that strong base in place, she takes on challenges outside her own direct functional area – taking management responsibility for our marketing function for example – and contributes as part of the Executive team to the wider management and leadership of the organisation. She is an outward-looking HR leader who seeks to bring the best of current HR thinking back into our ways of working and development. Our work to look at how to improve the wellbeing of staff is tackling an issue now recognised as significant in schools through applying the best of business thinking. It owes a lot to Mandy’s drive to engage outside education, look for the best practice and work with the most credible and expert support to implement change. Schools are belatedly beginning to realise that lack of flexibility in working practices is a substantial issue, not least for a predominantly female workforce. As we work to tackle that, Mandy is again drawing on expertise and skills from outside education to help schools to develop their practice and find solutions to the management problems they face. This use of evidence and examples from beyond their own sector is recognised and appreciated by headteachers and has contributed to their engagement with this challenge. Claire is passionate about working to improve people’s lives. For the past eight years she has been an HR Director within the NHS, and has been with London North West University Healthcare Trust, one of the largest integrated healthcare trusts in the country, for the last two years. The Trust was established on 1 October 2014. Following the merger, the organisation experienced significant financial and operational challenges,including considerable cultural factors associated with an integration, such as a lack of shared identity or values. In 2016, Claire joined the Trust, and found that, while the financial position had improved, high vacancy and turnover rates remained, as did poor levels of staff engagement. This was of concern, as research demonstrates the impact of staff engagement on patient care, not only in relation to experience but on clinical outcomes and mortality rates. Since her arrival, Claire has led an impressive transformation - not only reinvigorating her team, but reaching staff across the Trust and even colleagues across the London region. The HR function itself has been restructured, integrated and redesigned to ensure that the function is aligned both strategically and operationally to the needs of the business, saving in excess of £.5m from the HR budget itself. Claire immediately understood that developing a coherent sense of identity with staff across the integrated Trust with shared culture and values was central to this transformation. She enthusiastically led a staff and patient engagement programme with the CEO to identify what really mattered to these groups, and what created great patient experience. This feedback supported her and her team co-develop four value acronyms for staff to vote on and pick their favourite. With over 4000 votes from staff, the most popular value acronym was HEART (Honesty, Equality, Attitude, Respect, and Teamwork). To ensure this incorporated the fact that patients are central to everything we do, whether they are clinical or support staff, the working group developed the strap line “Putting patients at the HEART of everything we do”. Recognising that the Trust’s values must be represented at all levels and in all professions across the organisation, Claire established a diverse working group to embed the values and bring them to life. Under her leadership, the group developed a behavioural framework to identify acceptable and unacceptable behaviour in line with the values. Staff from porters to senior medical consultants volunteered to participate in the embedding of the values, and became models, appearing on posters to describe why the values were important to them. Staff participated in over 80 workshops, which emphasised the empirical evidence on how behaviour impacts upon patients, and supported teams to develop their own behaviours in line with the HEART values. The values have been incorporated in redesigned training programmes, as well as in a new appraisal and associated development plan, and policies, including those for conduct and disciplinary processes, were refreshed in light of the values. Values-based recruitment is to be launched imminently for all recruitment processes, and already improvements to recruitment made on this basis are attracting more candidates. To support long term sustainability, staff have volunteered to become HEART Ambassadors, becoming advocates and working to embed the values within their areas of work. Finally, Claire has led the introduction of a number of HEART recognition schemes, ranging from thank you cards, HEART Hero award ceremonies where staff nominate colleagues for an award, to a new category within the Staff Excellence Awards. With all this achieved in just over a year, the impact has been outstanding: in particular, there has been a dramatic improvement in the number of staff recommending the Trust as a place to work and as a place for patients to receive treatment in the national staff survey. There have been increases in other key metrics, including vacancies, mandatory training and appraisal rates, flu uptake and staff survey completion rates. Although the new values were only launched six months prior to the national staff survey, 95% of staff who completed the survey knew about the HEART values, which represents an astonishing achievement. Retention has also improved with turnover decreasing from 16.4% in 2015/16 to 12.7% in 2017/2018. Claire recalls that on her first day, she asked how many vacancies the Trust had and how many of them were being actively recruited to. No one was able to give her an answer. Through the development of resourcing plans, the redesign of the recruitment process, increased controls on the cost and use of temporary staffing, there has been a reduction in vacancies from 14.8% to 7.9%, as well as a reduction in time to recruit by 21% and an extraordinary reduction of £10 million in agency spend. In a campaign led by Claire, the response rate to the Trust’s staff survey last year increased by 12% to 48%. This not only placed the Trust above average in its category (having been amongst the worst performing the previous year) but represented the biggest increase in response rate nationally. This year’s overall engagement score of 3.78 (out of a maximum of 5) a significant improvement both in the number of engaged staff and in the level of their engagement over the previous two years. Benchmarked positive findings show improved staff engagement scores and an increase in staff motivation at work. More of our staff also report satisfaction with the quality of work and care they are able to deliver. Additionally, there is an experiencing high quality appraisals and quality of training. Regionally, Claire has been the HRD lead for the NWL workforce programme of improvement. As part of this, she has explored alternative models for developing collaborative medical staff banks across Trusts to reduce reliance on agency staff, with a significant impact on costs and on the quality of patient care. She has successfully led the programme to selection as one of ten national Department of Health and Social Care ‘Bank Flexible Working’ pilots, of which key aims are to grow the staff bank, increase the proportion of temporary staffing shifts filled by bank staff and reduce overall temporary staffing costs. One of Claire’s most significant contributions in the last year has been as the HRD lead on a work programme on behalf of 18 NHS acute trusts in London to reduce the high cost of both agency and in-house bank medical locums. The shortage in doctors has meant that they had control of the temporary staffing market and were able to demand extremely high levels of pay for additional shifts, so that spending on temporary staffing spiralled. The programme aimed to bring back control over spending in this area, and has required extensive engagement with all London Trust HRD colleagues, and with their clinical and executive team leaders, in agreeing a set of Local London rates for medical agency staff. This was extremely challenging: there was a vast difference in rates across London and additional concerns around patient safety if doctors chose not to work for reduced rates of pay. The agreed rates act as a ceiling for pay which Trusts may only breach on the grounds of safe patient care and safe staffing levels; all breaches must be reported. Following significant negotiation with stakeholders, these rates were introduced for agency medical locums in October 2017. Initial monitoring indicates that a downward trend has already begun in the usage and costs of agency medical locums since implementation. This is of significant note given the exceptional winter pressures experienced by the NHS this year. On 2 April, these rates were applied to bank medical locums. The risks associated with the introduction of the ceiling rates have been averted in the majority of cases through careful stakeholder management. Savings made from reduced temporary staffing bills can be used by trusts to improve the quality of patient safety and experience. For example, in 2017/18 in NW London, the implementation of these rates has driven a significant (27%) shift away from the use of agency to bank staff and a net reduction in total bank and agency spend of £3.4m (at month 10). Claire is now leading on seeking agreement with Trusts across Herts, Beds, East of England and Kent to reduce their rates for medical staff to come in line with those across London: this will help regain control over the medical locum market to reduce expenditure on temporary medical staffing and ensure public monies are focussed on providing safe and high quality patient care. The impact of this work in terms of savings on temporary staffing quality of care cannot be underestimated. Claire’s work in LNWH has driven a passion across the Trust to drive improvements in performance and the quality of care we deliver to patients. Outside the Trust, her work in leading improvements across London is already beginning to pay dividends in terms of reducing cost and increasing the quality of care. Latest financial figures/business performance indicators: Financial year to September 2017: Sales £2,141m. Profit £308m. Mitchells and Butlers (M&B) has had a legacy of leading the hospitality market over the years, but by 2012 it had lost its ‘yellow jersey’ and was falling behind. It was Susan Martindale who was the driving force behind a remarkable HR transformation to help get it back again. Fast forward to 2018, and Susan has not only led a People Strategy that has built record engagement levels, reduced churn and directly impacted the bottom line, she has achieved it for 45,000 people, 14 different brands, and all against the headwinds of an industry under pressure. No one else has been able to accomplish what Susan has in HR at M&B. What has set her apart is her courage to hold a mirror up to the business, call out what needs to improve and then bring clear, strategic, yet entirely unique, thinking to the table. It’s the consequence of her deep, time-served understanding of the sector, combined with 11 years’ experience in operational roles. Always looking at HR through this operational lens, Susan’s People Strategy was predicated on putting customers back at the heart of the business. Understanding that M&B will live or die by guest experience, and that M&B’s people are the key to that, she defined a brand new vision, then guided the HR function through a restructure so that it was equipped to bring this to life. Focusing on achieving ‘operational excellence and brilliance at the basics’ in the areas of talent attraction, reward & recognition and talent development, the scale and quality of what Susan and her team has achieved is phenomenal. It includes building a new digital recruitment platform, launching company-wide reward and recognition initiatives, creating an award-winning apprenticeship programme, overhauling graduate programmes, launching the UKs largest master class led Chef Academy and rolling out a sector-leading peer-to-peer digital learning platform. The key to Susan’s success is an exceptional leadership style – flexible, agile, inclusive and collaborative. Not many people could inherit such a fragmented HR function and reinvigorate it to successfully deliver a transformation that reaches every corner of this complex organisation. It’s this passion and skill to motivate and develop others that saw her elected to the Women 1st Top 100 in 2013, and become an esteemed mentor for the last 10 years. It didn’t take long for the success of the strategy to become evident. There was a shift in behaviours and mindsets, and engagement started to rise. Today it is higher than all M&B records. Turnover continues to reduce with a 4% decrease in 2017 across the business and some brands reaching record lows. In turn, guest satisfaction has grown YOY, both driving significant commercial benefits. A true example of an HR leader at the top of her game, over the last 18 months M&B has been outperforming the market. At last, M&B has its yellow jersey back and Susan has been genuinely instrumental in helping the business to achieve that. I am delighted for Susan that she has been shortlisted for this accolade. She has been HRD at M&B for five years, and has turned what was a fragmented function at the time into a credible and respected part of the company, aligned to and supporting the Operation in all aspects of business. She has created a very clear people agenda for the business that supports the company strategic plan, and leads her team from the front in terms of execution. Susan has been the driving force behind our award-winning learning and talent programmes, which are already bearing fruit, and has also driven our Apprenticeship programme, which I believe is critical to our future. Susan has a very broad experience beyond HR, having held senior operational and commercial roles in her career, and this means that everything that she and her team do, is grounded in a deep understanding of the business, and of the need to put the customer at the heart of all that we do. Susan would be a worthy winner of this accolade. McNeil was appointed in January 2016, joining the civil service from Lloyds Banking Group. He is responsible for delivering the Civil Service Workforce Plan, which sets out what it needs to do to attract the most capable and public-spirited people, and build a culture that is as good, if not better, than anything on offer elsewhere. Integral to this mission is breaking down silos. One example is an advertising campaign for policy staff that previously had been done very departmentally. Another: a combined internal/external campaign for the first time, aimed at attracting more people from the private sector. Civil service HR is also in the middle of a wide-ranging D&I push. The target is to be the most inclusive organisation in the UK by 2020, giving each area of diversity a senior leader focused full time on it. Sarah joined Aviva in August 2015 as Chief People Officer. She is responsible for the leadership of Aviva’s People, Communications and Transformation strategy and a key member of the Group Executive Leadership Team. Since joining Aviva she has built a market leading Executive People Leadership team with 84% engagement across the function. Sarah has worked in both business and functional roles across multiple sectors, in a range of industries, countries and cultures. Sarah is now leading the cultural shift at Aviva, accelerating the business and transforming it into a digital first business. Sarah is passionate about creating an inclusive workforce. Under her leadership inclusive diversity is now a fundamental part of Aviva’s strategy and key to its future success. In 2017 84% of Aviva’s people feel those from diverse backgrounds can succeed at Aviva. She sponsors the companies LGBT Allys programme and was responsible for Aviva’s new Equal Parental Leave policy, offering men and women the same amount of leave when having a new child. Aviva wants to lead the way in creating a level playing field for men and women in work changing ‘primary carer’ to a gender neutral stance that acknowledges both parents are equally important with many benefits to be realised as a result. 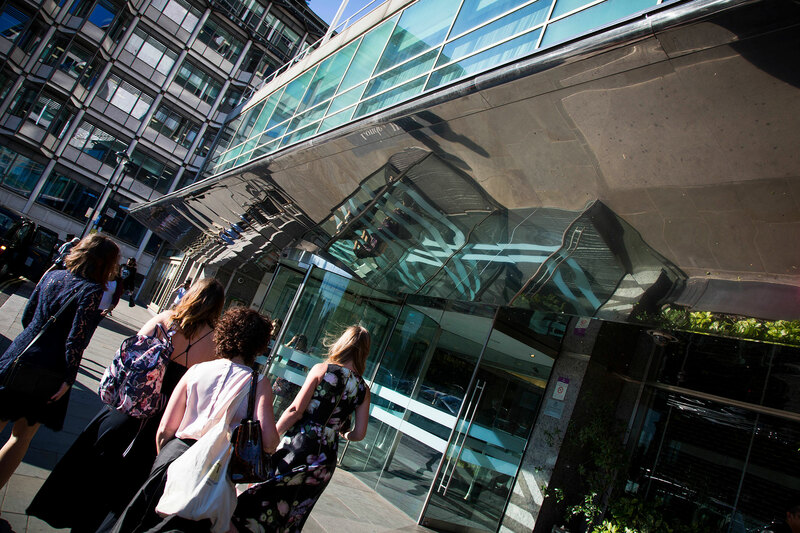 Aviva believes this will contribute to closing the gender pay gap, and was one of the first major financial companies to publish its Gender Pay Gap report. In addition to this Aviva has recently transformed their approach to sickness and carers whilst also offering more flexible working patterns. It has also publicly announced a commitment of hiring 12 per cent more older workers by 2022, by retaining existing talent, and helping those who have taken a career break back into the workforce. Sarah has led a number of actions to improve the profitability and growth of Aviva such as the simplification of their UK business, the sale of their Spain and Taiwan business and strengthening the senior leadership team with numerous changes. Sarah has developed and led the Groups Accelerate programme, a programme stood up to ensure Aviva can cultivate the right culture to grow the business with a specific focus on innovation, customer and simplicity. This year, Sarah developed Aviva’s Evolution Council. The Evolution council is the first of its kind giving talented employees the opportunity to discuss real board papers with the PLC Board and allow the employee voice to be heard by the NEDS. Aviva is committed to investing in their people and developing their talent. Under Sarah’s leadership Aviva has developed a female only leadership programme, offering a unique opportunity for female leaders to build their confidence and deepen their commitment in Aviva. They have also moved 39% of their high potential senior leaders into broader roles to develop and strengthen their executive pipeline and established a Global Graduate leadership Programme to create high performing pipeline of globally mobile graduates. Sarah is a NED on the Aviva Investors Board, member of the 30% Club steering committee, chairs the 30% Club HR Director Best Practise group and a member of HRH Countess of Wessex Women in business steering committee. Paul has been Balfour Beatty’s Group HR Director for over a decade having been appointed in 2005. Balfour Beatty is the UK’s largest contractor, employing c.28,000 people across three continents. Over the last three years Paul has been key to delivering the Build to Last transformation programme which has seen Balfour Beatty restored to financial strength. Paul is responsible for the developing and implementing the Group’s people strategy (including leadership development, talent management, capability development, reward and succession), ensuring that policies are aligned to support the business achieve its vision and goals through attracting and developing the people to deliver on iconic projects around the world. Paul is also responsible for the Health, Safety, Environment and Sustainability function in the UK. During Paul’s time as Group HR Director, Balfour Beatty has undergone significant changes in scale and strategy. Paul has been instrumental in ensuring that the HR team have been able to deliver the necessary support to the business in each phase. Following Paul’s appointment in 2005, Balfour Beatty was in a phase of rapid growth, as it changed from being a c.£4bn UK focussed Construction business to becoming a c.£12bn International infrastructure Group by 2010. The financial crisis in the later 2000 led to Balfour Beatty facing very challenging financial challenges as the business was impacted by a range of issues in a number of profit warnings, Senior Management and Board changes, divestments and merger discussions. Since 2015 with a new CEO, new Chairman and changes to almost every other member of the Executive Committee, Paul has provided continuity within the business whilst playing a major part in delivering the Build to Last transformation programme. Build to Last is delivering sustainable, measurable change across the Group and has made great progress to return the Group’s financial strength by focusing and engaging all Balfour Beatty’s people on four goals: Lean, Expert, Trusted and Safe. Paul has led the people aspects of the cultural change which has delivered c.£1bn of shareholder value in just 3 years. Paul has a keen interest in Pensions and Social Value activities and has acted as a Trustee of a number of large pension schemes and is also a Trustee of the Balfour Beatty Charitable Foundation: Building Better Futures. Paul is a strong supporter of HR technology and is an investor in the HR Tech Partnership – which is a group of HR Directors who invest in HR Tech start-ups. Prior to joining Balfour Beatty, Paul worked in a number of HR roles with Alstom, Massey-Ferguson and United Biscuits. Latest financial figures/business performance indicators:Kerry Group revenue of €6.4 billion reflecting 4.3% business volume growth. Kerry Foods revenue €1.3 billion, +2.4% volume growth. "In just over two years Emma has completely transformed our HR Function which is now firmly at the heart of our business. The impact she had from day one on those in her team, our Kerry Foods Leadership team and the business was incredible. Kerry Foods has always been a people business. However, Emma has taken this to a completely different level. Our people are truly at the heart of our organisation where we open up a world of opportunity and promise where everyone can do their best, be at their best and become the best that they can be. She revolutionised our thinking through our People Agenda which sees us engage our people through winning hearts and minds, inspiring amazing leadership, unlocking and developing great talent and building an agile organisation. Emma has been instrumental in the development of the leadership team, encouraging us all to be courageous and creative in our thinking. I’m delighted our Trailblazers initiative has been shortlisted in the Outstanding Employee Engagement Strategy category, which is testament to Emma’s thinking. We’ve also had to make some challenging decisions over the last year. Emma played a key leadership role in the decision making and implementation of our new business ways of working whilst also identifying some real areas for focus and opportunity for the HR function. As a result the function now has even more impact by engaging our people in our business and delivering an outstanding employee experience, delivering the right talent for our business and building capabilities that will enable us to succeed in the future, supporting the business to perform, building stronger teams and continuing to deliver on the HR basics. Personally, I would not be able to lead our business as I try to do without Emma’s insight, challenge and support. I can’t thank her enough for what she’s done or think of a more deserving winner." 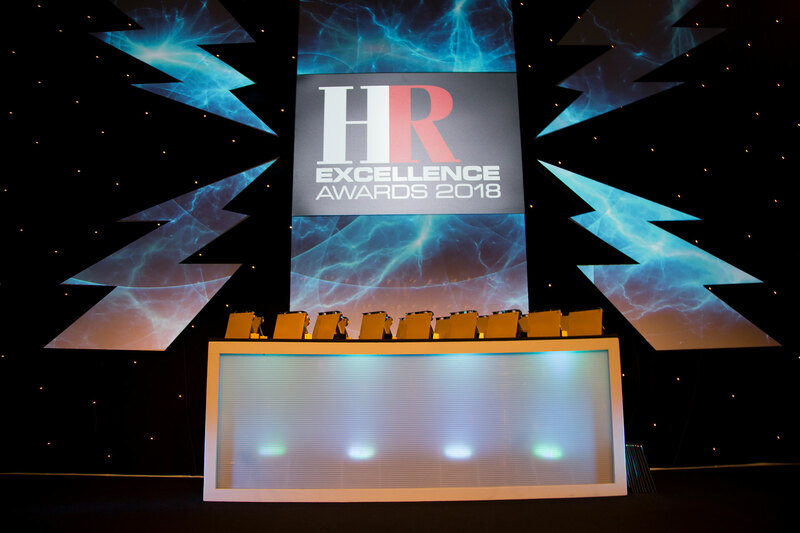 The HR Excellence Awards ceremony is renowned as the night in the HR calendar, attracting the UK’s most talented HR individuals, teams and companies. By attending the awards you will have the opportunity to network with over 600 fellow HR professionals and learn about the strategies that raise the profile of HR. 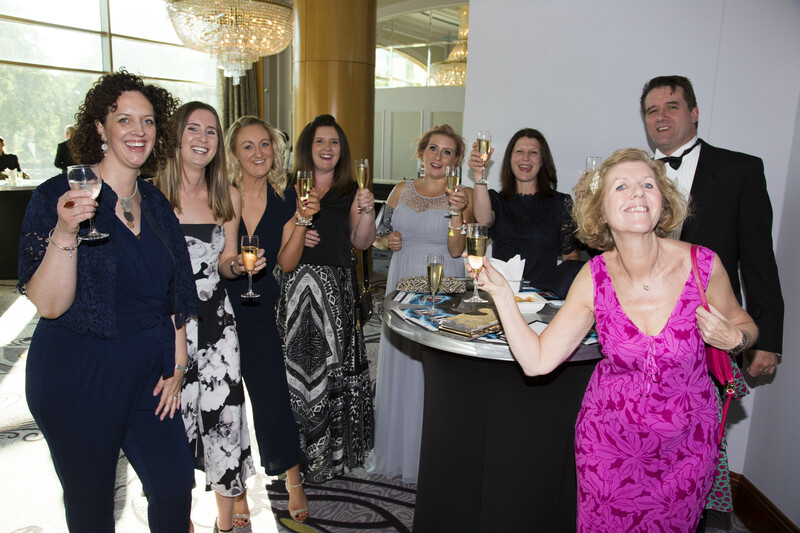 The gala dinner and awards ceremony for the 24th annual HR Excellence Awards will take place on Tuesday 2nd July, at the prestigious London Hilton on Park Lane, where all the winners will be revealed. Ticket price includes champagne on arrival overlooking London’s stunning Hyde Park, an excellence three course meal including half a bottle of wine per person and live entertainment from a top-class host, as well as attendance at the most prestigious awards in HR. You will able to book your places for 2019 once the shortlist is announced in April. Premium tables: Make your organisation stand out and your team feel exceptional by booking one of our limited premium tables. A premium table will guarantee you and your team a prime table position, a branded meeting point on arrival and two bottles of champagne on ice waiting for you on your table. * Premium tables are not subject to any discounts. The deadline to enter the awards is Monday 11th March 2019. This award recognises HR teams from the public, private and NFP sectors for their work within the function and their business partnering with other functions. The entry can include specific projects and also demonstrate the function’s collaborative approach and ability to attract and develop excellent HR people. This award is only open to non-UK based organisations, with no presence in the UK. Judges will be seeking evidence of the impact of the strategy on the business/organisation, including operational and financial measures. PLEASE NOTE: If you are a UK headquartered multinational with a HR strategy in a subsidiary abroad, you are not eligible to enter this category. If you are a multinational organisation with a presence in the UK, you are not eligible to enter this category, but are welcome to enter any of the other categories. Judges are looking for evidence of innovation and bottom line contribution through enhanced recruitment and improved retention. Entries could range from one- off projects in key areas through to the implementation of new policies covering all resourcing activities. They should be presented in the form of a business case study supported by relevant metrics. Judges are looking for those that invest effectively in the development of their people across an entire organisation. Entrants should include details about the business need, what the strategy entails and how it was communicated to the workforce. Judges are looking for an organisation that has used technology to move HR forward. It could be via the application of HR software and analytic systems, online recruitment or an e-learning programme. This category is open to overseas organisations. PLEASE NOTE: Entries into this category must demonstrate clear understanding of the organisation’s wider strategy. If you are a supplier entering on behalf of a client, we strongly suggest you ask the client to enter themselves, and assist them with their entry if necessary. Entrants should give details of how their organisation defines and spots talent, where responsibility for managing talent sits, how they deliver appropriate development opportunities and how they monitor and measure the success of implementation and outcome. The communications strategy can be part of an ongoing process or related to a one-off event or development in the organisation. The communications strategy/initiative must have been in place for long enough to demonstrate its success. This award will go to the organisation that provides the most compelling evidence that their strategy for health and wellbeing in the workplace not only works, but that has also created a clear and measurable return on investments made in this area. This award recognises where an organisation has closely aligned a benefits, reward and/or recognition strategy to business objectives in order to incentivise and enhance productivity. Judges will be looking for tangible evidence that shows how the strategy had a direct impact on employees and subsequently, the organisation's bottom line. Examples of initiatives that could be entered in this category include: the introduction of a new approach to benefits, a new employee and team recognition strategy, impressive work around reducing a gender pay gap, or the introduction of a new pay structure that’s achieved strong results in terms of productivity, attraction and/or retention. Judges are looking for an organisation that has embedded corporate social responsibility throughout the organisation, in particular through its people. Entrants should demonstrate the role HR has played in the strategy and execution of CSR initiatives. Judges will mark highly CSR initiatives/strategies that demonstrate a clear link between corporate strategy, community benefits and societal responsibility. This category covers organisations that have completed a successful people-focused business transformation programme. Areas that will be assessed include making the business case for change, its communication, implementation and measurement. Entries can include those where external interim resources have been brought in to achieve a positive outcome and successful merger and acquisition programmes. PLEASE NOTE: The programme must have been in place for a minimum of 12 months to demonstrate its success. Judges are looking for a well-thought out strategy linking employee engagement to the heart of the business. This can include motivation programmes that have made a significant difference to an organisation's productivity and performance. This award recognises those organisations who have gone above and beyond in creating a youth employment strategy that offers opportunities to young people from a range of backgrounds. Strategies could include apprenticeships, traineeships, graduate schemes, internships and work experience programmes. This award recognises an organisation that has diversity and inclusion at the heart of its business, providing outstanding support and opportunities to women, people from BME backgrounds, people from the LGBTI community, disabled people and other minorities. The winner will not have a D&I strategy because it is nice thing to do; it will recognise and embrace the benefits of a truly diverse workforce. This award celebrates the growing number of companies now approaching workplace design and facilities management with a people-focused lens. The winning HR team will be strongly involved in shaping their organisation’s approach to FM, not just to create a pleasant environment for staff, but to deliver clear wellbeing, engagement, collaboration and productivity gains - including potentially through careful consideration and utilisation of remote and flexible working options. HR magazine will analyse employee views on their CEO or MD, including ability to inspire, excite, create strong values and engage with their workforce to find the Most People-Focused CEO or MD in both the private and public/not-for-profit sectors. PLEASE NOTE: this category is not open for general entry. Readers will decide who has made the most effective contribution to development of HR strategy during 2016/17 from a shortlist developed by the HR magazine editorial team and industry experts. The HR excellence Gold Award is presented to the nomination which, out of all nominations, stood out as a clear showcase of outstanding people strategy. It is presented at the glittering awards ceremony by HR magazine. This award recognises the game-changing HR directors of the future. It is open to any HR practitioner below HR director level, the rising stars who have already made a big impact on their organisations. Entrants can enter themselves or be entered by their superiors. Dorchester Collection was established in 2006 to manage a portfolio of some of the world’s foremost luxury hotels in Europe and the USA. By applying its unrivalled experience in owning and operating some of the world’s great individual hotels, the company’s vision is to become the ultimate hotel management company, with a passion for excellence and innovation, honouring the individuality and heritage of its hotels. This is achieved through both acquiring hotels and managing hotels on behalf of third party owners. People know the hotels of Dorchester Collection. They are icons in their own right with worldwide reputations as places offering the best and most sought-after experiences of good living, charm, elegance and service. Each hotel celebrates its own original character enriched by contemporary styling and state-of-the-art facilities. With historic buildings in outstanding locations each hotel also embodies the culture of its city. niche executive search firm Rees Draper Wright. The HR Excellence Awards are recognised as the benchmark of excellence in the HR community. Now in their 24th year, the HR Excellence Awards are a unique opportunity for the whole industry to gather on a single evening to celebrate the best in achievement, ability and performance. 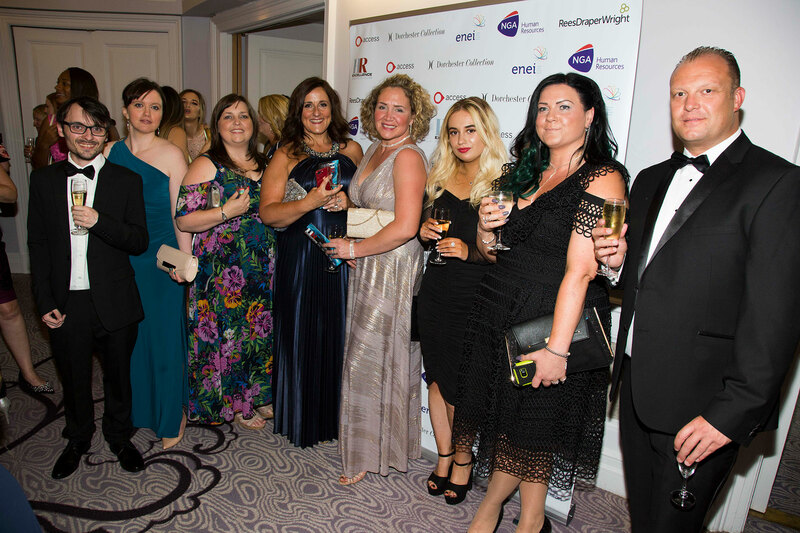 The Awards Ceremony takes place on the 2nd July at the prestigious London Hilton Hotel and it sees the industry’s leading movers and shakers gather to honour their peers in the HR community. In 2018 over 600 industry professionals attended making it the most prestigious event in the HR calendar. 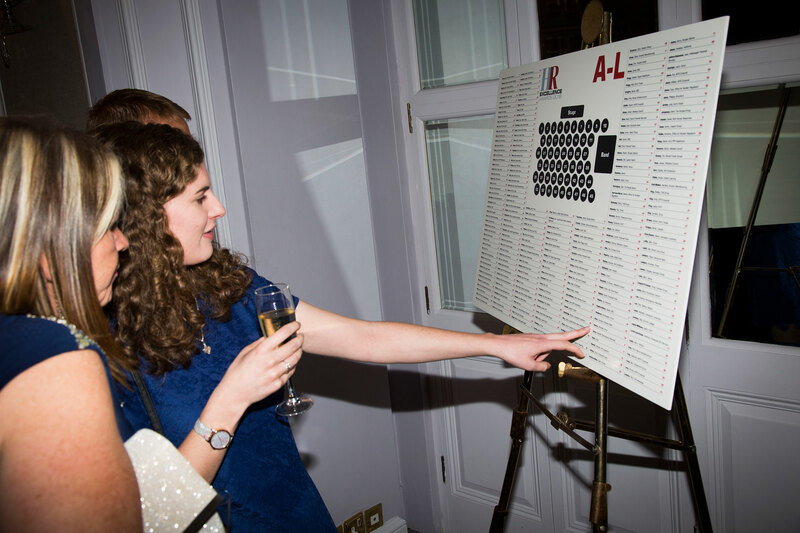 Please get in touch with our sponsorship team to discuss how we can help your organisation maximise its exposure by becoming identified with the most prestigious awards in the industry. To view all of our images please click here. Please see answers to some frequently asked questions below. If your question is not answered here, please get in touch with the awards team on 020 7501 6782, who will be happy to help. When is the awards ceremony? The ceremony will be held on Tuesday 2nd July 2019. You will be able to book your table in April once the shortlist has been announced. What is the deadline to submit an entry into the HR Excellence Awards? The deadline to enter the awards is Monday 11th March 2019. You can enter with the early bird entry price until Friday 18th January 2019. What is the entry document? Your entry document consists of a 2,000-word essay outlining your entry. Please see the ‘tips for entering’ tab for more detail. If you enter before 18th January 2019 you can enter at a discounted rate. For private companies, it costs £350 (increasing to £385 after the 18th January). For public and not-for-profit companies, it costs £175 (increasing to £195 after the 18th January). For private companies entering more than one award, each subsequent entry costs £195. There is no limit on the number of entries you may submit. However, you should avoid duplicating entries across multiple categories, tailoring the entry specifically to the criteria of the category you are entering. May I submit on behalf of a client? Yes, although their permission must be obtained and evidence of this shown. You will be asked to provide contact details of a senior person at the organisation. We may or may not contact this person. Can I enter if I am an international company? International companies can enter the ‘Best HR strategy overseas’ AND ‘Most innovative deployment of HR technology’. International companies who have a presence in (have offices in or do a lot of business in) the UK are able to enter any category. Can UK based companies enter ‘Best HR strategy from overseas’? No. UK based companies can enter any other category. Can I enter the HR director of the year? The shortlist for this category is created by the HR magazine editorial team and is not open for general entry. However, you may suggest nominating your HR director by contacting us. Can I enter the Most people-focused CEO? What is the difference between the entry document and supporting material? The main component of your entry is the entry document. All key information listed in the criteria for the category needs to be in the entry document and not in the supporting material. Supporting material is optional and may be submitted in addition to the entry document. It should be used to illustrate/demonstrate what is in the entry document. Supporting material may include, but is not limited to: photographs, testimonials, graphs/data, videos (please send USB stick), hard copies of any printed material (e.g. brochures). Whilst supporting material is important and helpful to the judges, we ask that you keep these documents to a reasonable amount. In terms of entries, once your entry is submitted, you may withdraw it until the closing date. Your entry fee will not be refunded. In terms of table and seat bookings at the awards ceremony, written cancellations received within six weeks prior to the event will be accepted and a refund of 90% of the booking charge will be made. After this date, no refunds can be given. Please click here to read our terms and conditions in full. What happens after I have submitted my entries? Once you have submitted your entries they will be processed by the awards team, ready for judging. Judging takes place in April and we will announce the shortlist in mid- April 2019. The winners are announced at the ceremony on Tuesday 2nd July in London. Please keep this date free in your diary. 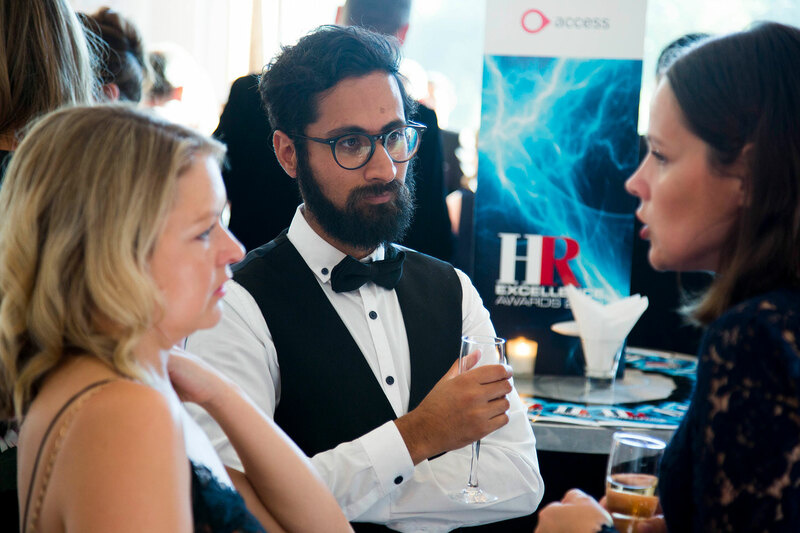 The HR Excellence Awards 2019 will be judged by a panel of judges made up of some of the UK’s top HR directors working in leading organisations.